Q: What are Cataracts and how are they treated? Dr. Mattson: Most cataracts are due to age-related changes in the lens. However, other factors can contribute to their development including:Diabetes mellitus, Certain Medications, Ultraviolet radiation, Smoking, Alcohol, Nutritional deficiency color. Cataracts can be diagnosed through a comprehensive eye exam. This examination may include: Patient history to determine vision difficulties experienced by the patient that may limit their daily activities and other general health concerns affecting vision. Visual acuity measurement to determine to what extent a cataract may be limiting clear vision at distance and near. Refraction to determine the need for changes in an eyeglass or contact lens prescription. Evaluation of the lens under high magnification and illumination to determine the extent and location of any cataracts. Evaluation of the retina of the eye through a dilated pupil. Measurement of pressure within the eye. Supplemental testing for color vision and glare sensitivity. 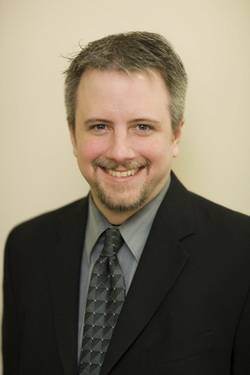 Dr. Mattson: Daily disposable contact lenses are single-use lenses that are removed and discarded at the end of each day, and a fresh pair of lenses are applied to the eyes the next morning. Daily disposables are gaining in popularity among practitioners and consumers for their health and convenience benefits. The more frequently you replace your contact lenses, the healthier and more comfortable your eyes can be.Calcium, protein and other substances found naturally in your tears can build up on your lenses. These deposits make your contacts less comfortable than when they were new, and can also make your eyes more prone to infection.Of course, lenses can be cleaned, but cleaning is not 100 percent effective. Some deposits will remain and continue to accumulate over time. Many eye care professionals and contact lens wearers feel that daily contact lenses offer the best of both worlds: They are convenient because no lens cleaning is required, and they are healthy because there is no day-to-day accumulation of lens deposits, and no overnight wear. Q: What is color blindness? Dr. Mattson: Color Blindness means that you have trouble seeing red, green, or blue or a mix of these colors. It’s rare that a person sees no color at all. Color blindness is also called a color vision problem. A color vision problem can change your life. It may make it harder to learn and read, and you may not be able to have certain careers. But children and adults with color vision problems can learn to make up for their problems seeing color. Use artificial tears (preservative free), wear sunglasses to reduce the change of wind blowing directly into your eyes, use a humidifier in the winter and take Omega 3 fatty acid supplement. The Omega 3 is found naturally in foods like Salmon, sardines and flaxseeds. Ask your optometrist if you should take supplements of Omega 3 and if so what form and dosage. If you are bothered by dry eye, talk with your optometrist to determine the best course of treatment for you. Q: When should your child have an eye exam? 1 in 4 children have an undiagnosed visual problem that affects school performance, most of which is not tested for in a school screener. Amblyopia is found in 6% of children. If uncorrected, it will lead to permanent vision loss. Studies show that Comprehensive Eye Exams detect this 95% of the time, yet school screenings only detect this 40% of the time! Q. Should I wear sunglasses in the winter? Dr. Mattson: Most of us associate sunglasses with warm weather hanging out at the beach, and other fun summertime activities, and while sunglasses are important for preventing UV damage to our eyes, most of us make the mistake of forgetting to wear our favorite shades during the cold and sometimes snowy, winter months. Here are some important reasons why it is important to always remember to wear your sunglasses any time of the year. Sunglasses can help prevent the symptoms associated with dry eyes during winter weather. UV rays are just as harmful during the winter as they are during the summer Sunlight reflected off snow can actually cause greater glare than any light during the summer months. In short, sunglasses are practical any time of the year. When purchasing new shades, make sure to look for polarized lenses as this will guarantee full protection from damaging UV light. Q. Are disposable contact lenses good for my eyes? Have any more? 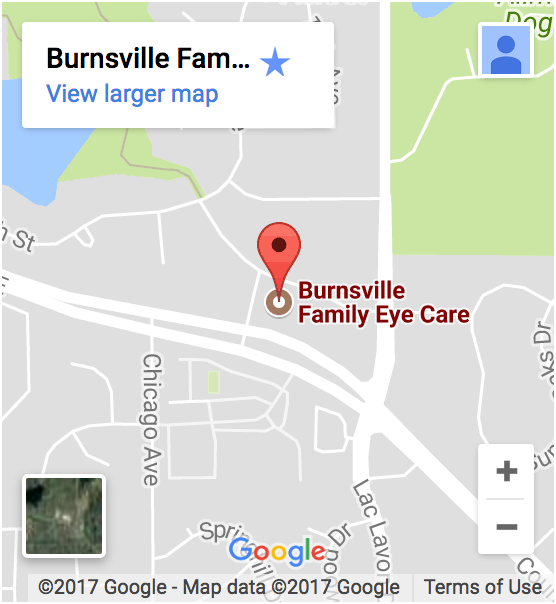 Visit Burnsville Family Eye Care and talk to our eye doctor today about any of our eye care services! Also check out our glasses and contacts!